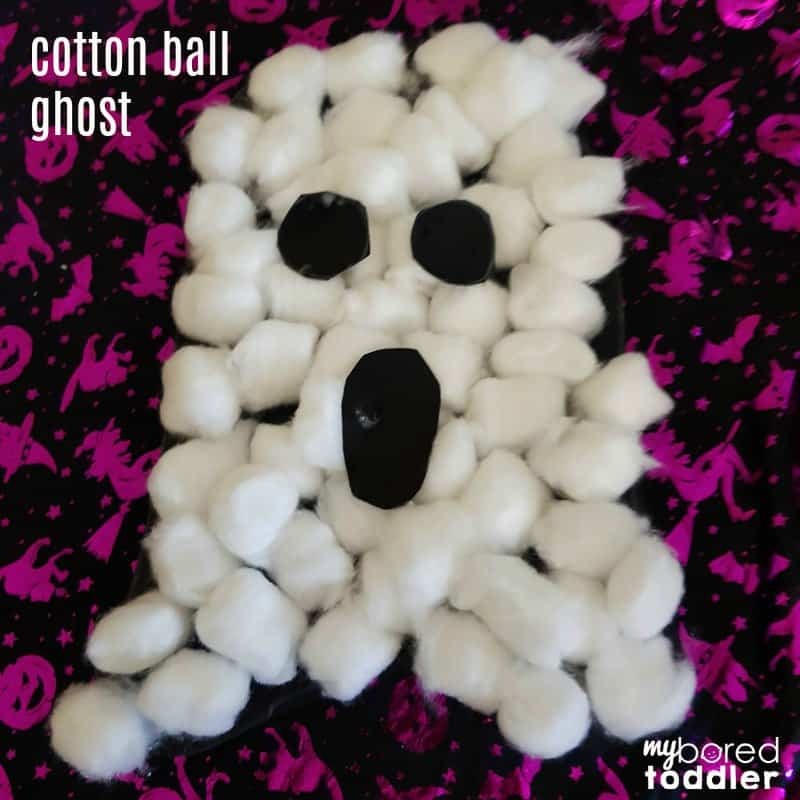 This cotton wool ball ghost craft for toddlers is a classic Halloween craft activity. 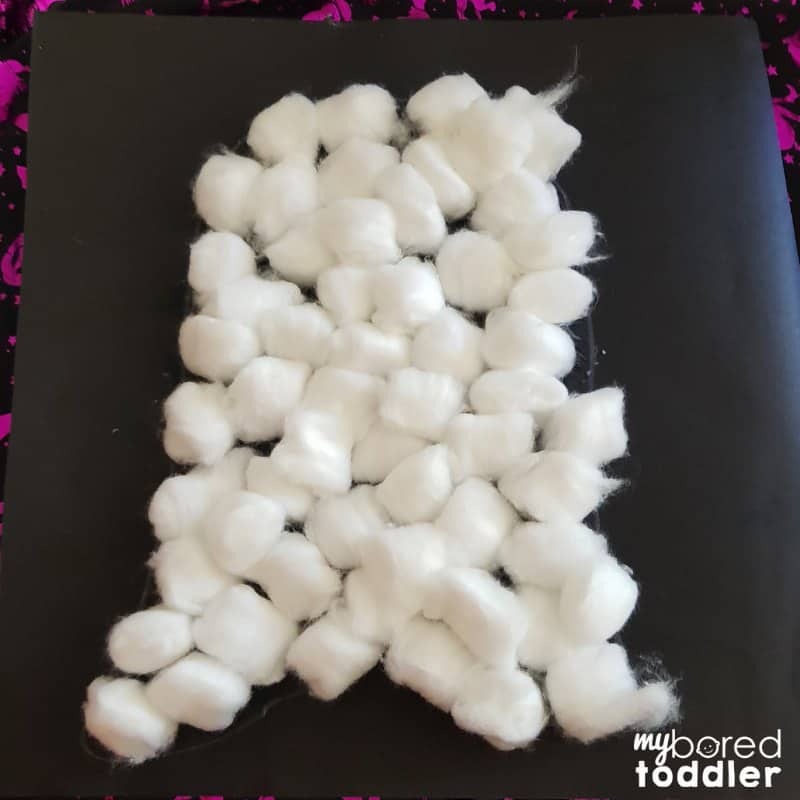 I have memories of making a similar craft when I was at school. 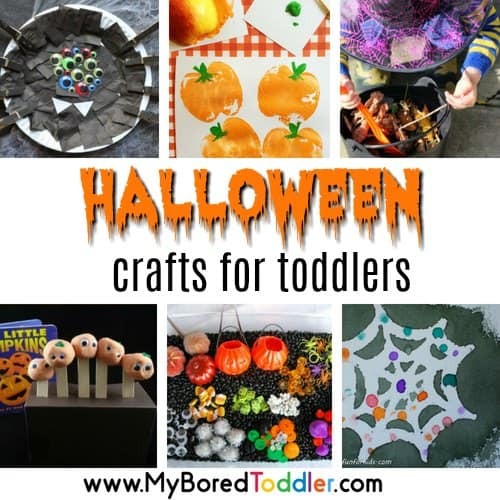 This is a Halloween craft that we would often make with the children, and it’s one that the older kids can participate in too. 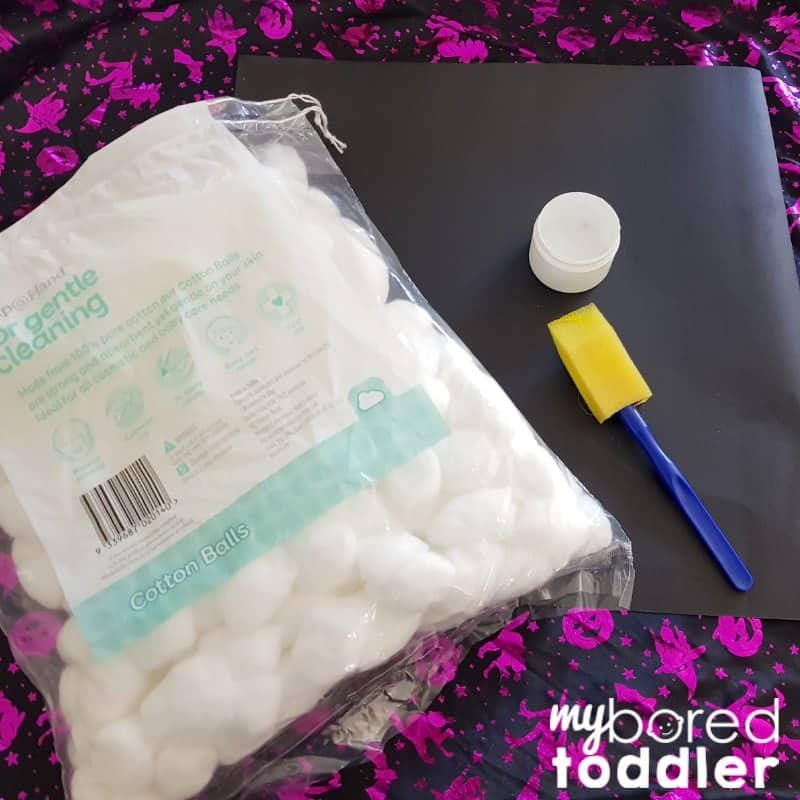 We had a lot of fun with our cotton wool ghosts today and I’m excited to share it with you as part of our Day 3 Toddler Halloween Craft Challenge (you can still sign up here and you will get a new craft each day). Yesterday’s crepe paper pumpkin seemed very popular and I loved seeing you sharing your posts in our Facebook Group and over on Instagram. 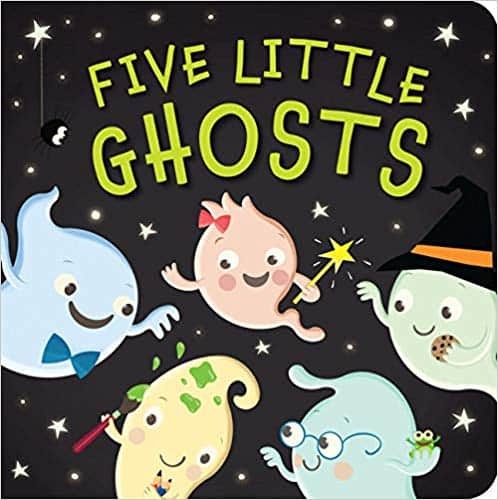 If you like to match books with your craft activities, 5 Little Ghosts (available HERE) is a great one. 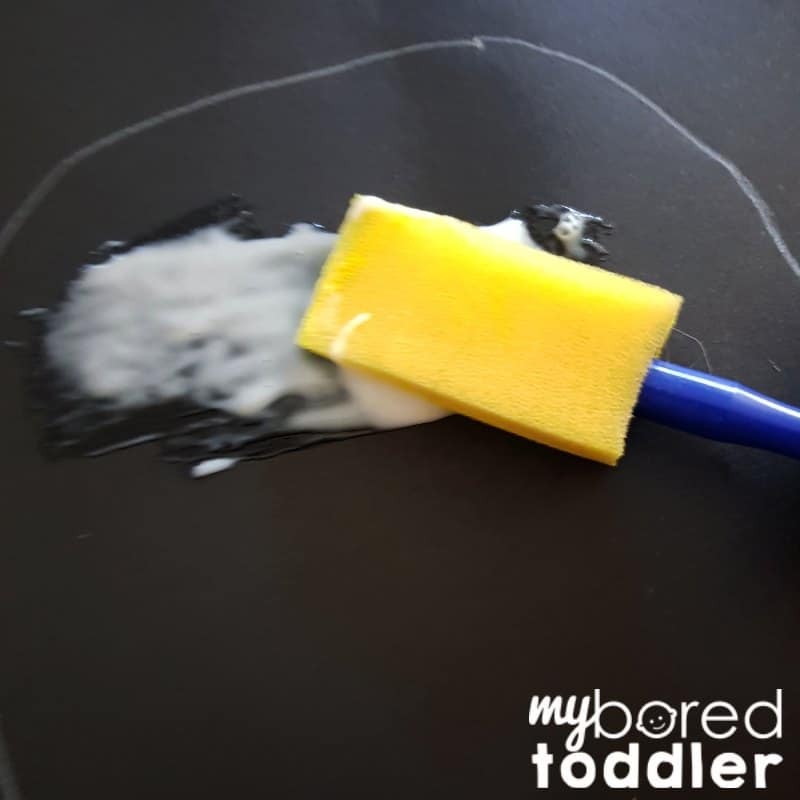 This is a really simple craft activity and one that doesn’t take long to set up – they’re the best kind! 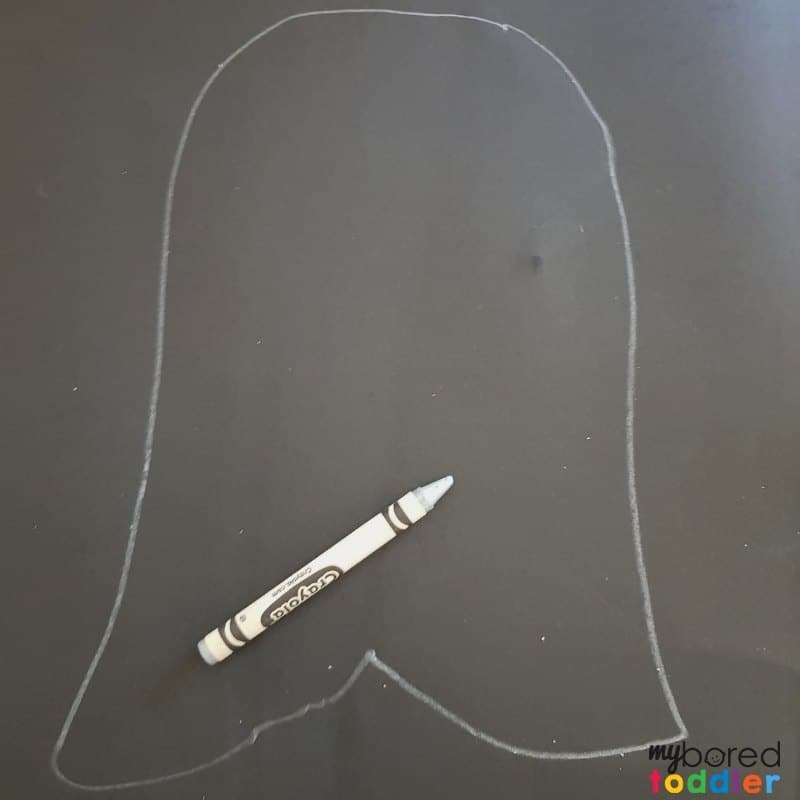 Draw a ghost outline on the black card. There is no ‘rule’ about what shape your ghost is. Don’t overthink it – any shape will work! 2. 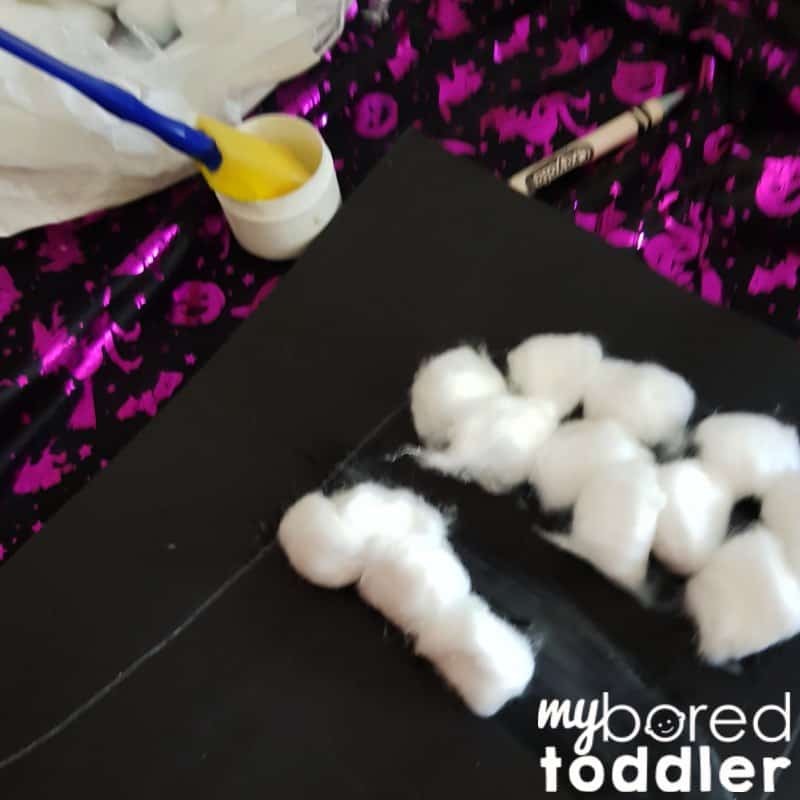 It’s easier to have your child apply the glue to the card and then stick the cotton wool balls on. If they are a bit young, you can help out with the gluing part. 3. 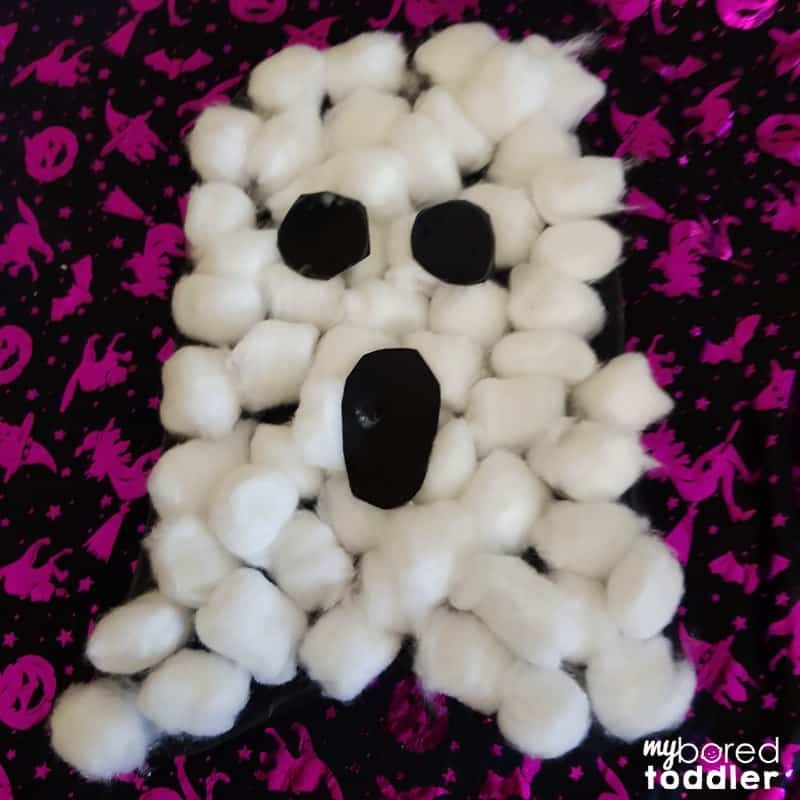 Keep sticking the cotton balls on until the whole ghost is covered. 4. Once the ghost is complete have an adult cut out the ghost. 5. 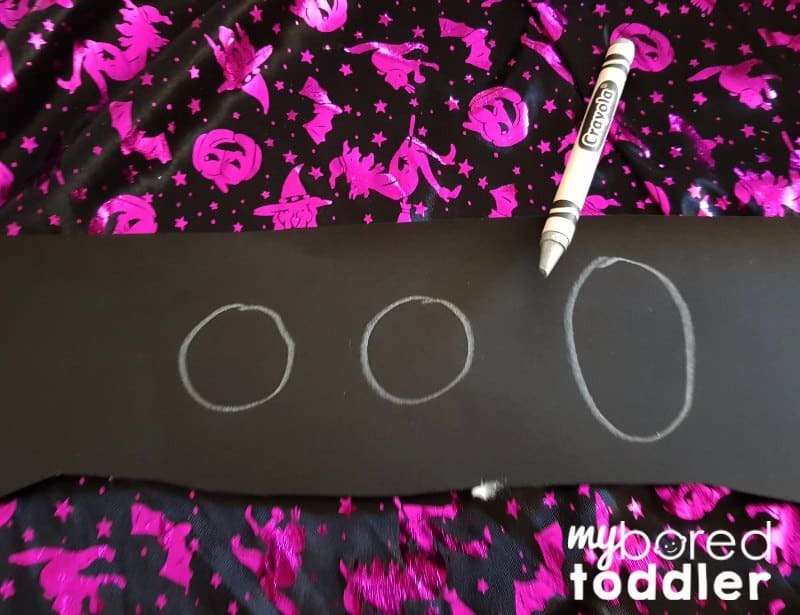 Keep your scrap paper and use this to draw eyes and a mouth. 6. Glue on the eyes and the mouth and you are don! 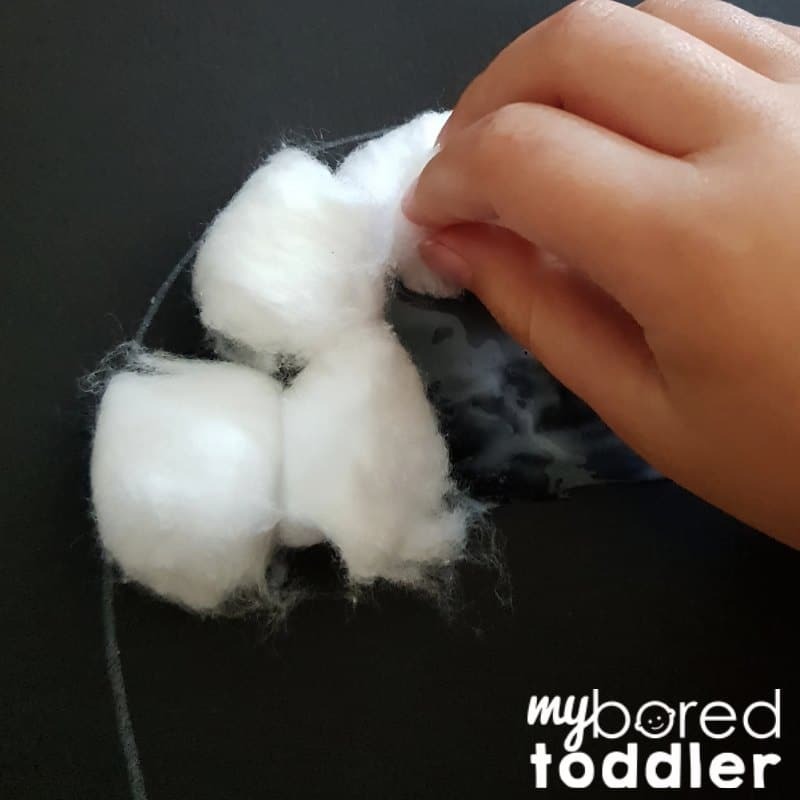 I hope your child enjoyed this cotton wool ball ghost craft as much as mine did! 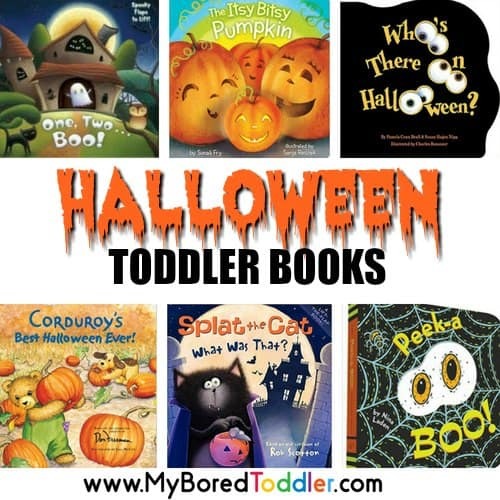 Looking for more crafts for Halloween? Try these!